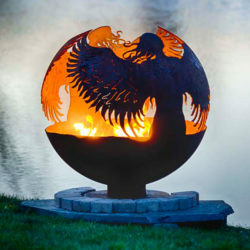 Home / Product Length / 37"
Scenes include the conflict of war, ravaged buildings, grief and a red cross helicopter flying overhead. 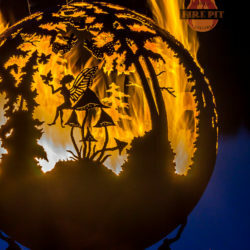 Features woodland scenes with forest animals and fairy’s throughout., the Man in the Moon and Butterfly’s. 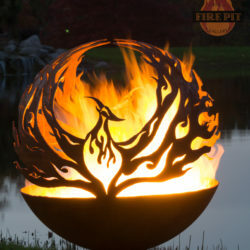 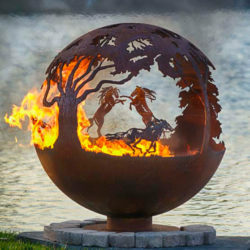 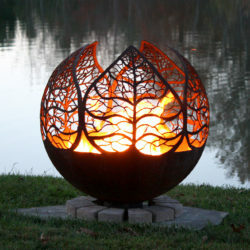 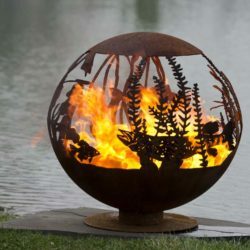 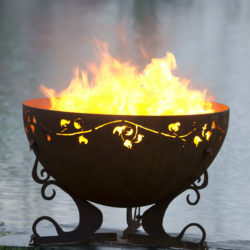 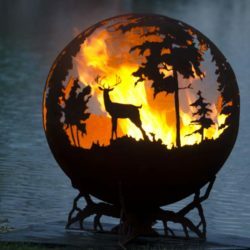 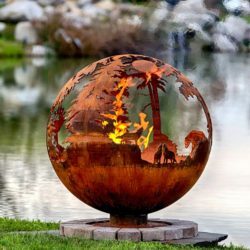 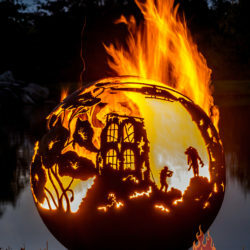 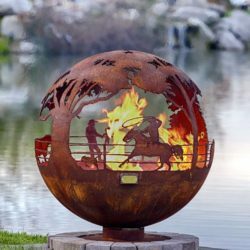 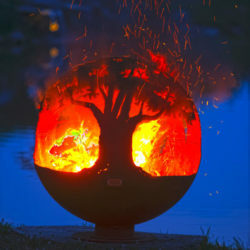 This peaceful birch tree fire pit sphere seems to draw you in, as though you are standing in a quiet forest sanctuary. 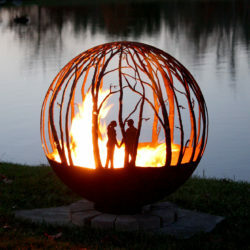 With the addition of the sweethearts holding hands, it becomes somewhat dreamy and romantic. 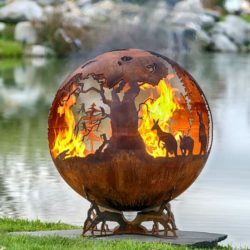 Winter Woods is a gorgeous landscaping centerpiece to be sure! 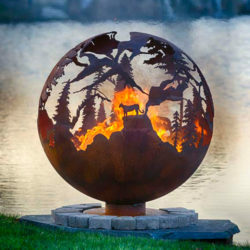 Up North – Design Your Own Custom Outdoor Fire Pit Sphere with Craggy Tree Branch Base or Flat Steel Base. 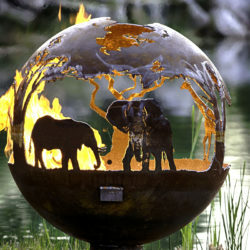 Choose Three animal scenes.